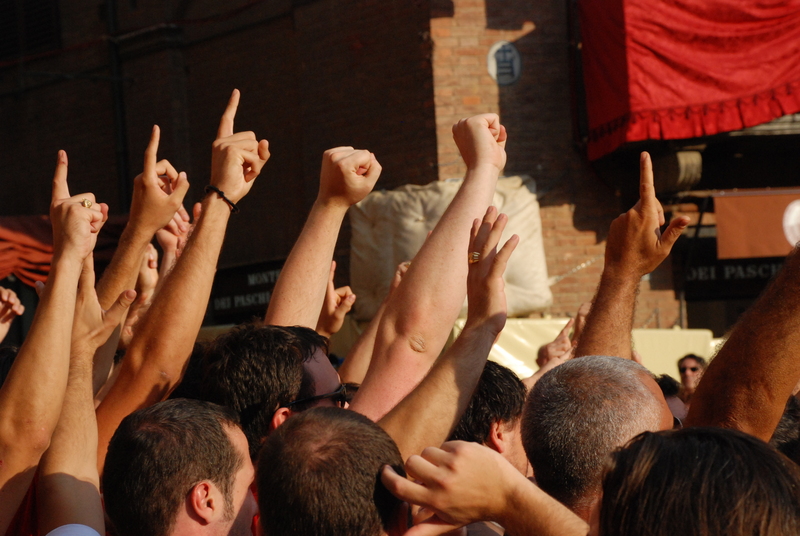 At 4:00 pm: Exclusive terrace for 10 -12 places for the Palio manifestation and race. Buffet with Tuscan products during the event. Private guide during the parade. At 9:00 pm candle light dinner at a characteristic restaurant of Piazza del Campo, with candle light, where people will be celebrating the Contrada winner the Palio for the all night long. The cost includes private and esclusive guide speaking English for 6 hours; light lunch; esclusive terrace and room accessing the terrace (in the terrace there are 6 standing and 6 sitting places), private buffet; assistant and guide during the parade and Palio horse race; dinner at a restaurant in Piazza del Campo.